My previous K70 had to be thrown away after some unfortunate events occurred, so I opted to finally get my first Ducky. 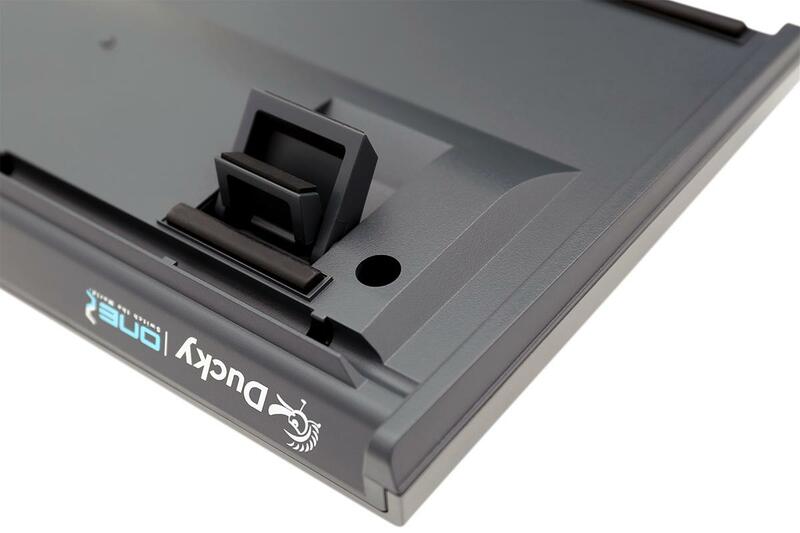 While it may not have LEDs this is perhaps the most solid keyboard I've ever used, and unlike my previous keyboard, the spacebar didn't get jammed within a month. Removing the keys revealed an absolutely gorgeous aesthetic of bare red switches without much of the circuitry exposed (had to do some cleaning after whiskey dropped on it). Ordered this internationally through a proxy service and got it within a week. 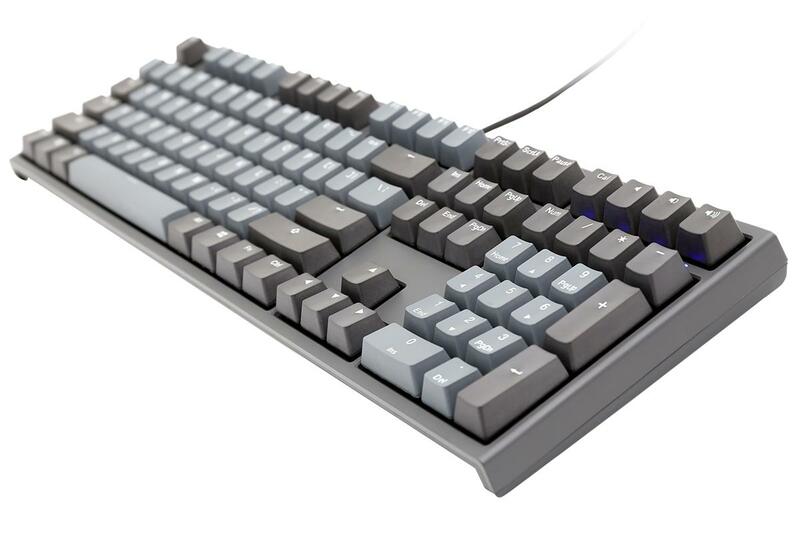 The default keycaps are nice, but I will definitely be outfitting this board with something a little more personally pleasing in the future. 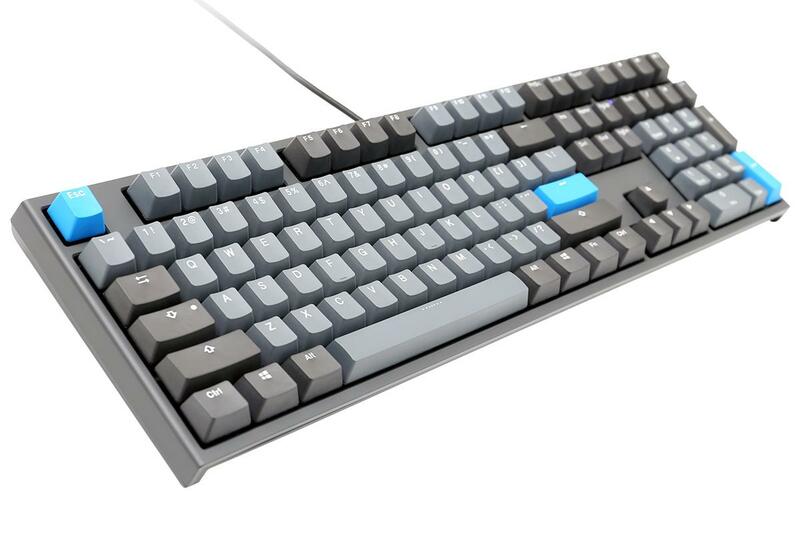 Now a big fan of Ducky and am ever so tempted to pick up another board in the near future. First mechanical keyboard I've owned, very happy with it. Everything is really solid and high quality and feels great. The brown keys feel really nice for a mix of typing and gaming. 5/5 would recommend. 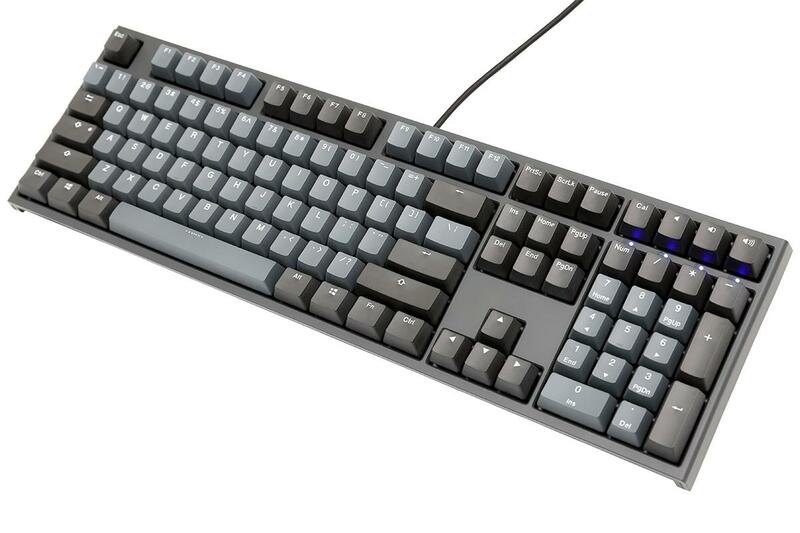 First Ducky keyboard that I bought for work use (MX Browns). This keyboard feels awesome to type on and has a very high quality build to it compared to other mechanical keyboards I've used. Also love the style and colors of the key caps used. 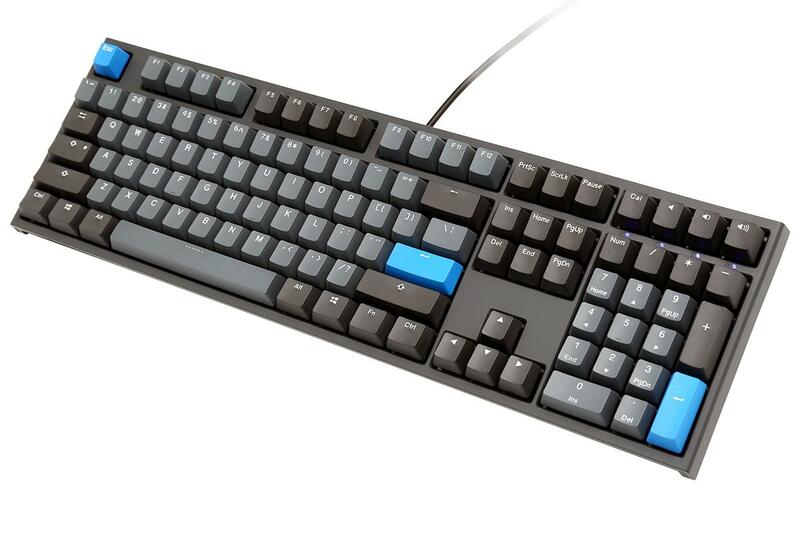 The whole keyboard has a very clean professional look to it. I can't recommend this one enough. 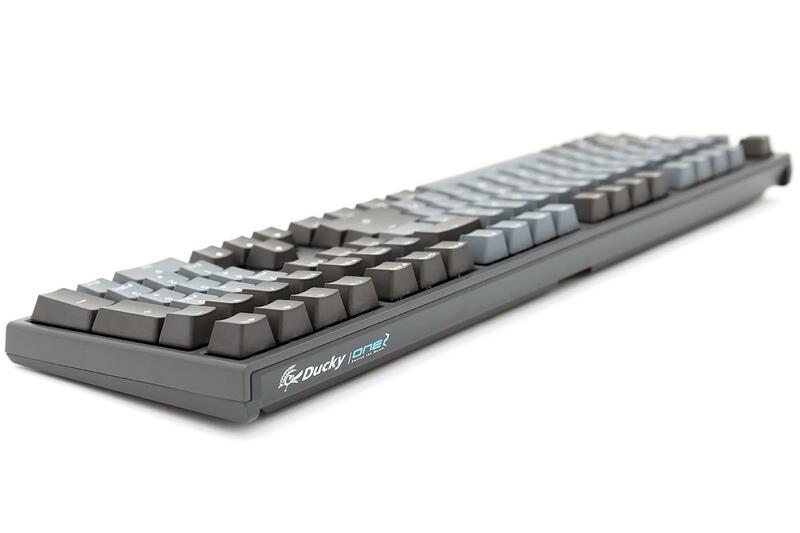 I will recommend this brand to anyone else looking to get a mechanical keyboard that has a solid typing feel and high build quality. I have been using this keyboard for a couple of days (my first MK), and I'm really liking it so far! The board itself is solid and weighty, the keycaps are solid but light, and it goes really well with the Cherry MX Brown switches. I've been using it for both gaming and work-based typing and it's been a charm for both! My only complaint is the legend on keys with alternate symbols. The numbers and symbols are right next to each other and looks kinda funky. I wish the symbols were stacked one on top of the other instead of side-by-side. It's not a deal-breaker, but I feel I need to dock a star for it. Feels so much better than my KG010 knock switches. 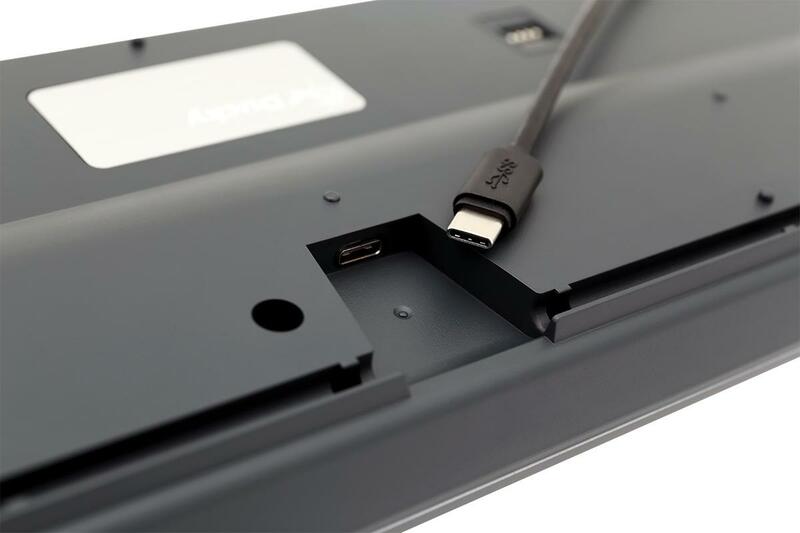 Also smaller profile and very comfortable to type on. 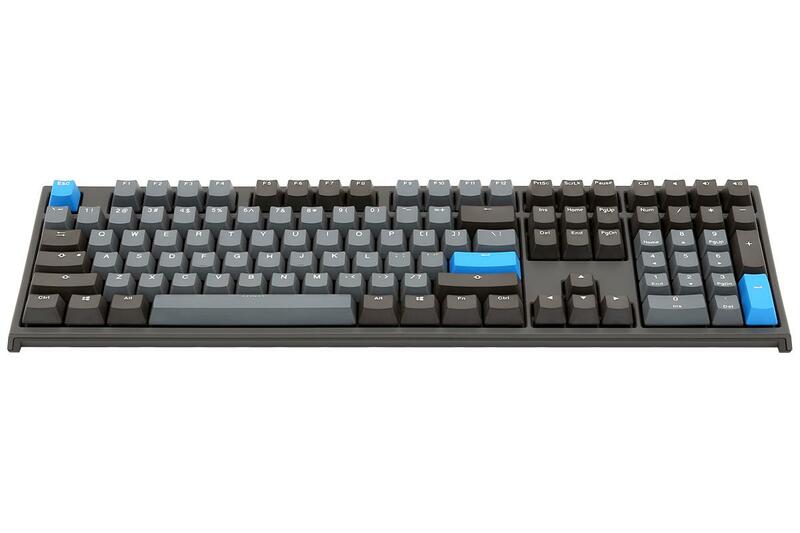 Pair that with simple aesthetics and you've got a great keyboard for gaming, everyday use, and whatnot. I highly recommend. Note: I chose Cherry MX brown switches. It looks nice, feels nice, smells like Chinese plastic, tastes like electricity. I am currently describing the picture on my monitor, as FedEx currently has it in Ohio and currently has it progressing at a quarter of a state per day. 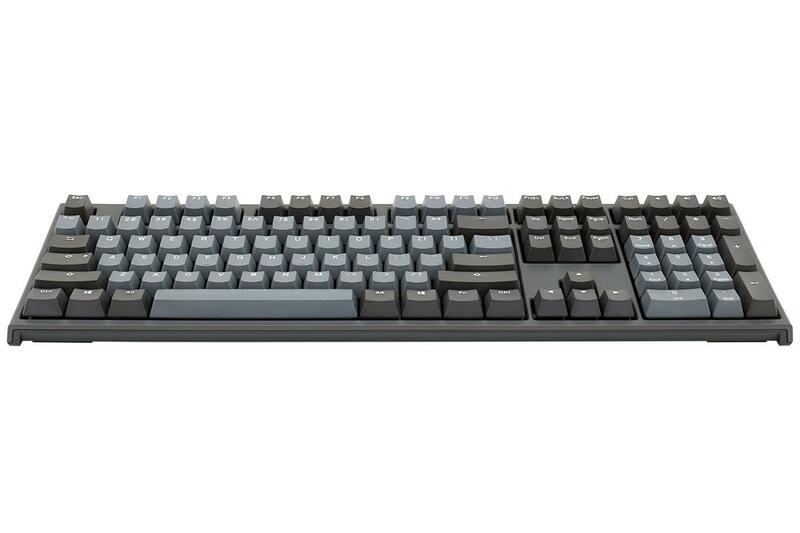 I am currently typing this on a rubber dome keyboard filled with flakes of food and various blends of soda, that I got from a salvation army; as I had to sell my other keyboard to pay for this one. let this be a cautionary tale, just buy the fastest shipping option you can. Very happy with this keyboard and MechanicalKeyboards.Com's customer service. I got this for my brothers birthday and he absolutely loves it and is diving into mechkeys himself!! 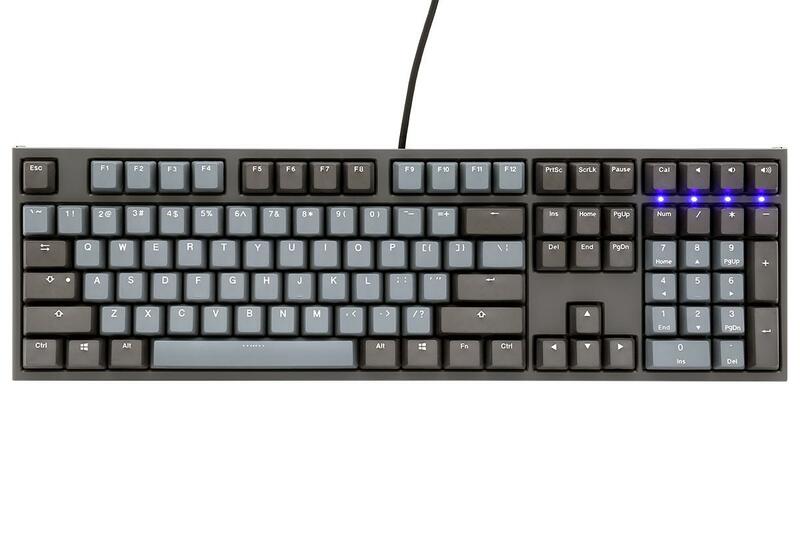 This is my first Ducky keyboard and I really like this keyboard. 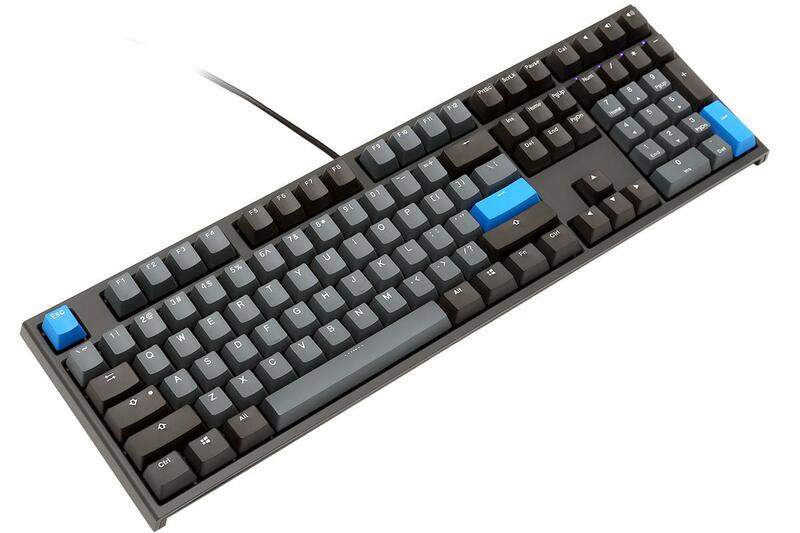 Been using it for about a month now and came from using Kalih browns and really like the Cherry MX Brown switches. Easier keypress but still has a nice tactile feeling. The frame is really nice as well. Came with a nice keycap puller. I also bought some red ducky replacement caps to go with my grey/red/ build. 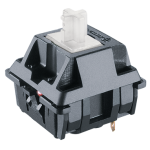 The only thing that I sometimes notice is that the lights for the numlock are super bright. 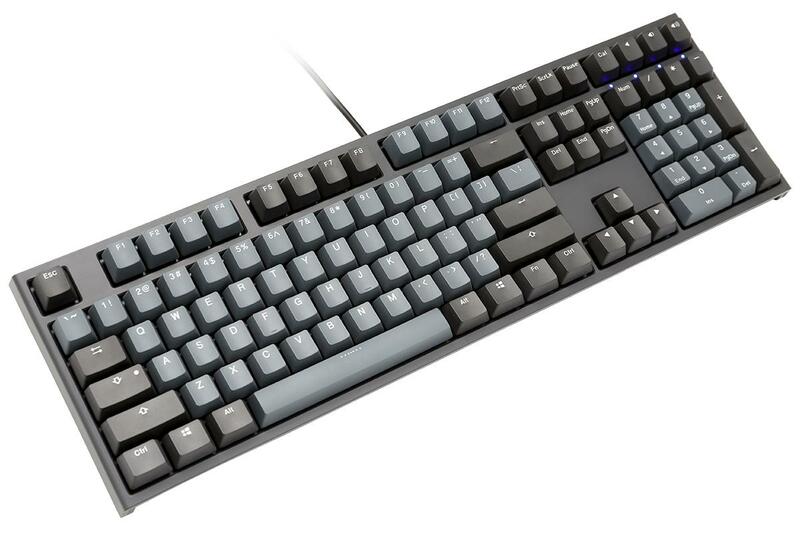 Other than that I really enjoy this keyboard and wouldn't hesitate to buy another Ducky. The browns are a nice in between for reds and blues. 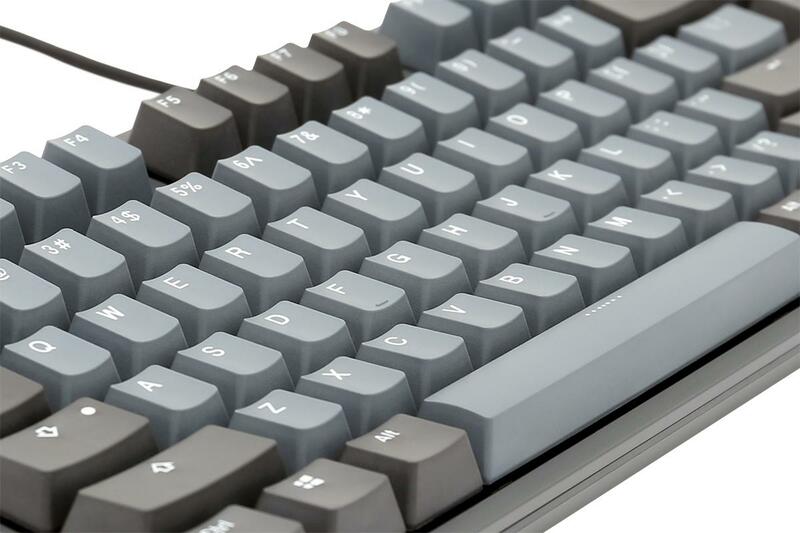 If you are getting your first mechanical keyboard I would suggest going with browns. You have the tactile feedback and they are not super loud like blues. However, if you have a heavy hand I would probably pick up some blues as they require a little more force to activate the switches for the keys. This keyboard is excellent. 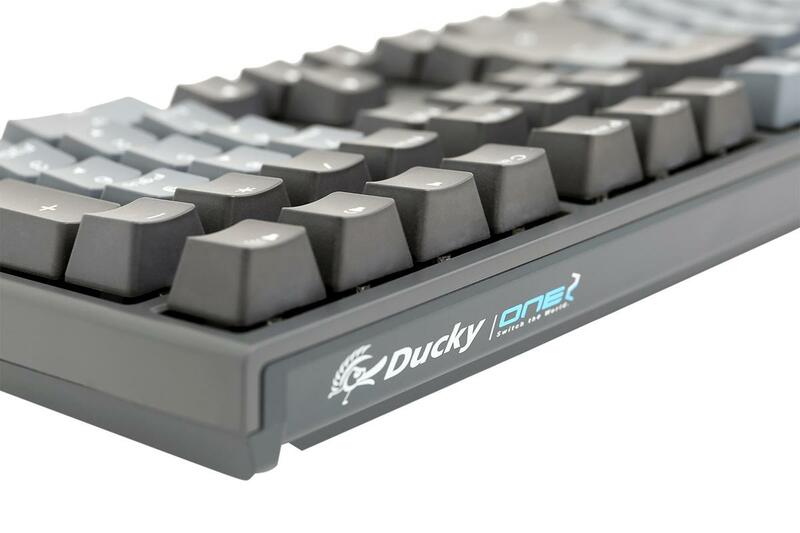 Ducky never disappoints when it comes to build quality and this new iteration of the Ducky One is no exception. I love the understated design and Ducky's placement of volume/calculator button(s) at the top right of the board. The PBT Keycaps feel great and will last forever. 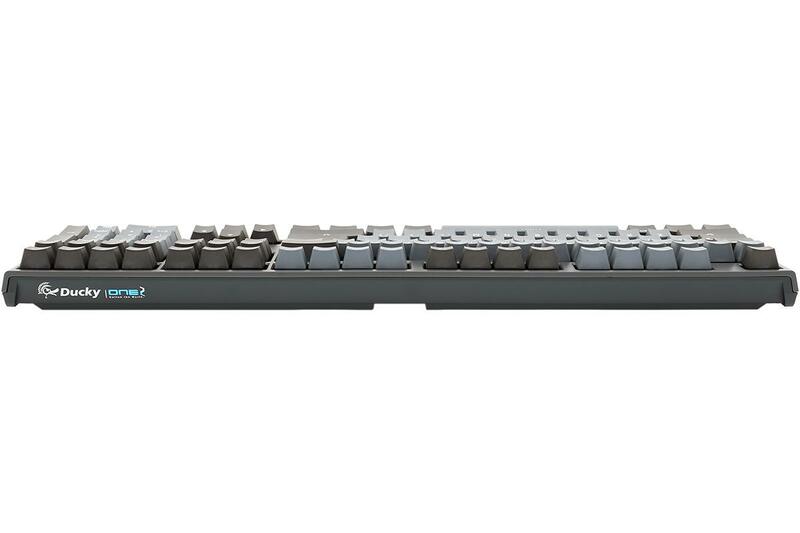 This keyboard comes with several replacement blue keys to add some flair to your board in addition to a nice wire keycap puller. Overall, this is a great value compared to the expensive garbage the mainstream "gaming" companies sell. 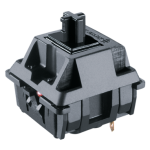 I enjoy the Cherry MX Brown switches. These will be perfect for an office environment.